THE FIRST ROUND OF CMA PERFORMERS HAS BEEN ANNOUNCED. The first round of performers has been announced for this year’s CMA Awards. 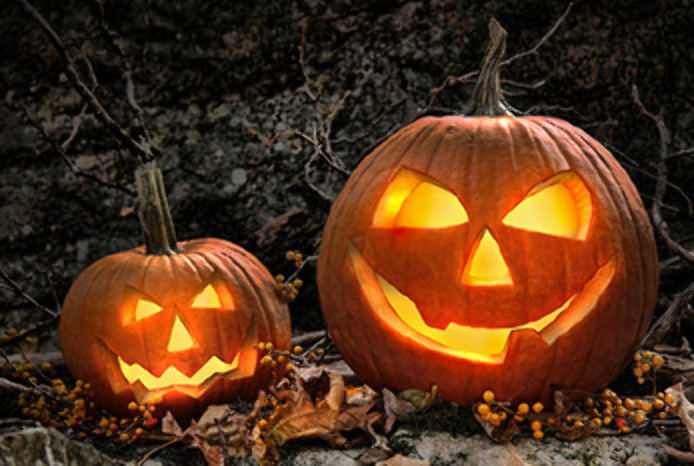 Luke Bryan, Carrie Underwood, Eric Church, Little Big Town, Brothers Osborne, Chris Stapleton, Jon Pardi and new Country Music Hall of Famer Alan Jackson will perform, as well as Garth Brooks, Miranda Lambert, Old Dominion and Thomas Rhett. Luke is a two-time consecutive CMA Entertainer of the Year (2014, 2015), returning to compete for his fifth nomination in the category. He has garnered 15 CMA Awards nominations since 2010. Up for three nominations this year, Eric is a three-time CMA Awards winner with 25 total career nods. He returns this year with recognition in the Entertainer of the Year category, in addition to Musical Event and his sixth consecutive nomination for Male Vocalist. The reigning CMA Vocal Duo Brothers Osborne received their first Music Video nod for “It Ain’t My Fault” and will once again vie for Vocal Duo, their third nomination in the category. First-time nominee, Jon Pardi, vies for two categories with nominations for New Artist of the Year and Single for “Dirt On My Boots,” which he co-produced. He receives one nomination for Single of the Year, but can receive an additional trophy as producer. 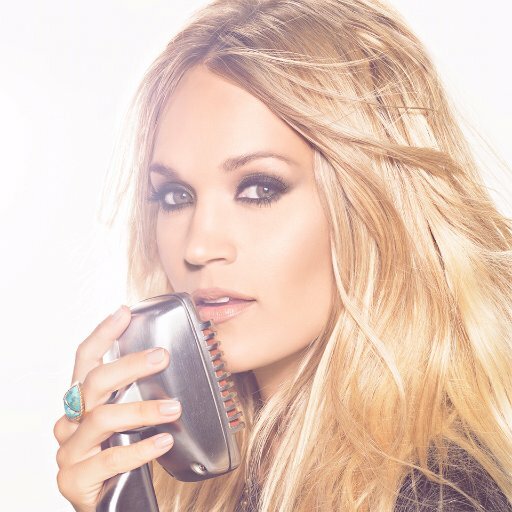 With six CMA Awards to her name, Carrie, who is also co-hosting the CMA Awards with Brad Paisley, returns to vie for Female Vocalist, a category she’s won four times (2006-2008, 2016) and nominated for consecutively since 2006. With 81 career nominations, Alan is the second most nominated artist in CMA Awards history. This year marks Jackson’s 24th CMA Awards performance since debuting in 1990 with “Chasin’ That Neon Rainbow.” He will receive Country Music’s Highest Honor, induction into the Country Music Hall of Fame, on Sunday, Oct. 22 during the official Medallion Ceremony at the CMA Theater. The 51st Annual CMA Awards will air live from Nashville’s Bridgestone Arena November 8th at 8pm ET on ABC. Keith Urban, Sam Hunt, Carrie Underwood, Little Big Town, Chris Stapleton and Jon Pardi earned nominations for this year’s American Music Awards. Keith leads the country nominees with three nods, including Favorite Male Artist – Country, Favorite Album – Country for Ripcord and Favorite Song – Country for “Blue Ain’t Your Color.” Sam picks up a pair of nominations, including Favorite Male Artist – Country and Favorite Song – Country for “Body Like a Back Road.” Chris earns a nomination for From A Room: Volume 1, while Jon picks up a nod for Favorite Song – Country for “Dirt on My Boots.” The 45th Annual American Music Awards will be broadcast live from the Microsoft Theater in Los Angeles on November 19th at 8pm ET on ABC. Luke Bryan’s Crash My Party and Tailgates and Tanlines albums were certified 4X platinum by the RIAA. Several of his songs, including “Drunk on You,” “Crash My Party,” “Play It Again” and “That’s My Kind of Night” were also certified 4X platinum, while “Country Girl [Shake It For Me]” was certified quintuple platinum. Luke’s “Kiss Tomorrow Goodbye,” “Home Alone Tonight” and “All My Friends Say” was certified platinum. Keith Urban is set to appear on a new television special, Grammys Greatest Stories, which will take a behind-the-scenes look at the past 59 years of Grammys performances and history. The two-hour show will include appearances by Paul McCartney, Elton John, Bruce Springsteen, Aretha Franklin, Bruno Mars, Ed Sheeran, Celine Dion and U2, among others. Grammys Greatest Stories: A 60th Anniversary Special will air Black Friday, November 24th beginning at 9pm ET on CBS. COUNTRY RISING CONCERT EXPANDS TO INCLUDE LAS VEGAS AND ADDS KEITH URBAN TO THE LIST OF PERFORMERS. Country Music’s star-studded benefit concert COUNTRY RISING announced today that in light of last week’s tragedy, it will now support victims of the Las Vegas shooting in addition to those in Texas, Florida, Puerto Rico and additional Caribbean islands who have been impacted by the recent hurricanes. Tickets and VIP packages for the event will now go on sale next Friday, Oct. 20 at 10:00A CT on www.Ticketmaster.com. 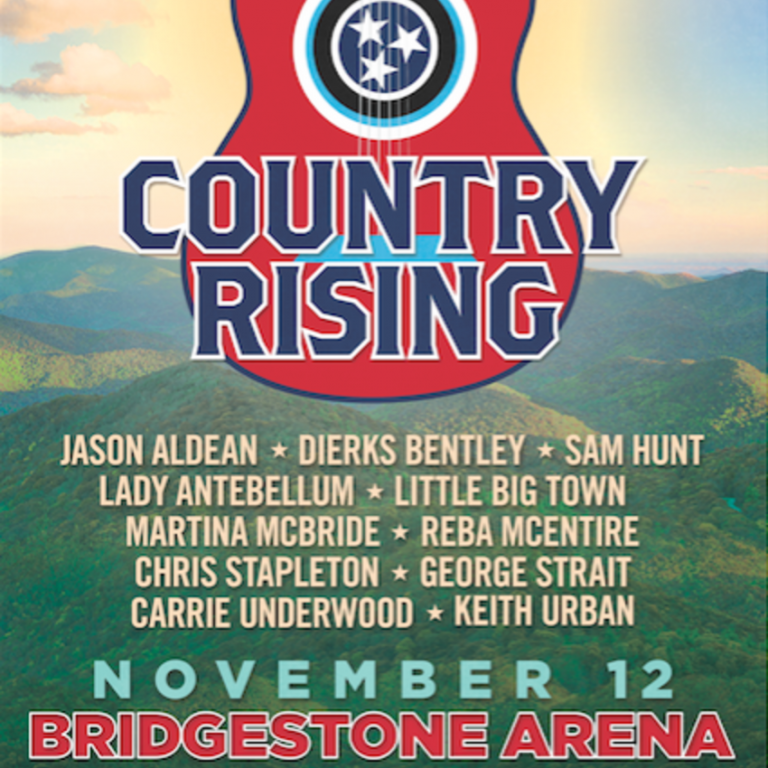 Citi® is the official presale credit card of Country Rising. Citi® cardmembers will have access to purchase presale tickets beginning Wednesday, Oct. 18 at 10:00A CT through Citi’s Private Pass® program. For complete presale details visit www.citiprivatepass.com. Keith Urban is the latest mega-star to add his name to the bill, which also includes Jason Aldean, Dierks Bentley, Sam Hunt, Lady Antebellum, Little Big Town, Martina McBride, Reba McEntire, Chris Stapleton, George Strait and Carrie Underwood. Due to a scheduling conflict with additional tour dates being added in Spokane, WA, Garth Brooks will no longer be part of the event in Nashville and will instead donate all proceeds from his two added concerts on November 12th to The Country Rising Fund. CARRIE UNDERWOOD RELEASES THE TRAILER FOR HER ‘STORYTELLER TOUR’ LIVE VIDEO. On November 17th, Carrie Underwood‘s highly successful Storyteller Tour – Stories in the Round will be released digitally. The live concert video was filmed at her sold-out Madison Square Garden show. 2016’s top touring country female of the year took her critically-acclaimed world tour across nine countries, playing more than 100 shows for over one million fans. Carrie Underwood: The Storyteller Tour – Stories In The Round, Live from Madison Square Garden will be available digitally on iTunes, Amazon, Google Play, and Qello. “The Storyteller Tour – Stories in the Round” received rave reviews for its massive in-the-round 360-degree stage production as well as Carrie’s command of it. CARRIE UNDERWOOD TO RELEASE LIVE CONCERT FILM FROM RECORD-BREAKING TOUR . On November 17th, fans of Carrie Underwood will get what they’ve been asking for, to experience her highly successful Storyteller Tour – Stories in the Round again, with the digital release of the live concert filmed at her sold-out Madison Square Garden show. 2016’s top touring country female of the year took her critically-acclaimed world tour across nine countries, playing more than 100 shows for over one million fans. Carrie Underwood: The Storyteller Tour – Stories In The Round, Live from Madison Square Garden will be available digitally on iTunes, Amazon, Google Play, and Qello. The tour travelled over 50,000 miles among 18 trucks and 8 buses across North America. Each show consisted of 112 automation cues controlling all elements of the 150 foot-long in-the-round stage including 7 stage elevators, 3 rings of video screen, a revolving central stage, and mirror ball, through 56 axes of motion. The tour used over 51,000 pounds of carbon dioxide, and dropped over 400 pounds of Mylar. Carrie’s wardrobe, created by Emmy-winning costume designer Marina Toybina, consisted of 32 custom made costumes and 214 pieces of jewelry, allowing for different outfit combinations across the show’s 5 Acts in each city. The tour’s Creative Director was Barry Lather (Rihanna, Mariah Carey, Usher, Michael Jackson) and Butch Allen (Metallica, The Eagles, Eric Church, No Doubt) was the Production & Lighting Designer. Carrie Underwood emerged from the promise of her 2005 American Idol win to become a true multi-format, multi-media superstar, spanning achievements in music, television, and film. A seven-time GRAMMY® Award winner, she has amassed over 100 major honors, sold 64 million records worldwide, and recorded 26 #1 singles, 13 of which she co-wrote, with a catalog of songs that have been streamed more than 2.6 billion times worldwide. The first female artist to be twice named the Academy of Country Music’s Entertainer of the Year, Underwood was recognized by Pollstar as the top female country touring artist for each of her headlining tours in 2008, 2010, 2012, and for 2016’s “The Storyteller Tour – Stories in the Round.” Carrie also topped Billboard’s Top 25 Tours of 2016 as the leading female country artist and was the leading female artist on Country Aircheck’s top country radio performers list for her success in both 2015 and 2016. All five studio albums, Some Hearts, Carnival Ride, Play On, Blown Away, and Storyteller – are certified Platinum or multi-Platinum, and each an American Music Awards winner as Favorite Country Album – and tallied an incredible 40 weeks at #1 on Billboard’s Top Country Albums chart. The RIAA’s highest certified country album artist to debut this century, Underwood also holds the distinction of the highest album certification of any country artist to emerge since 2000 with the 8x Multi-Platinum success of her 2005 debut, Some Hearts. 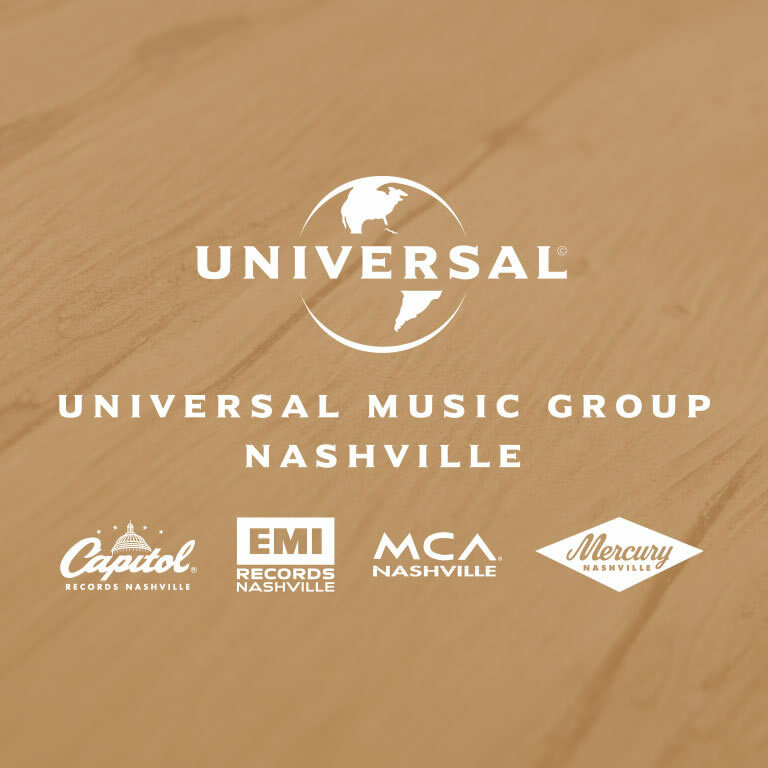 She is the all-time Top Country Artist (male or female) on RIAA’s Digital Single Ranking, also placing her among the Top 5 females in the history of RIAA’s Digital Single Program across all genres. In December of 2014, she released her Platinum-certified Greatest Hits: Decade #1, which produced two new #1 hits co-written by Underwood, including the RIAA-Platinum, GRAMMY-winning “Something in the Water.” The Grand Ole Opry member demonstrated her creative diversity in 2013 starring as Maria von Trapp in NBC’s three-hour holiday blockbuster, the Emmy®-winning The Sound of Music Live!, whose airings attracted 44 million viewers. The reigning CMA Female Vocalist of the Year, Underwood claimed her fourth win in the category amid the ongoing success of her chart-topping platinum fifth studio album, Storyteller, which produced four #1 hits. This fall Underwood has returned for the fifth season as the voice of primetime television’s #1 program, Sunday Night Football, and in November she will co-host the CMA Awards for a tenth consecutive year where she is again nominated for Female Vocalist of the Year. Audio / Carrie Underwood explains why she wanted to release her Storyteller Tour. Audio / Carrie Underwood talks about selling out Madison Square Garden on her Storyteller Tour. Audio / Carrie Underwood talks about the benefits of playing in the round. DIERKS BENTLEY, SAM HUNT, LADY ANTEBELLUM, LITTLE BIG TOWN, CHRIS STAPLETON, GEORGE STRAIT AND CARRIE UNDERWOOD WILL TAKE PART IN COUNTRY RISING, A BENEFIT CONCERT TO SUPPORT THE VICTIMS OF THE RECENT HURRICANES. Country Music’s biggest stars have rallied to announce plans for COUNTRY RISING, a benefit concert to support those in Texas, Florida, Puerto Rico and additional Caribbean islands who have been impacted by the recent hurricanes. 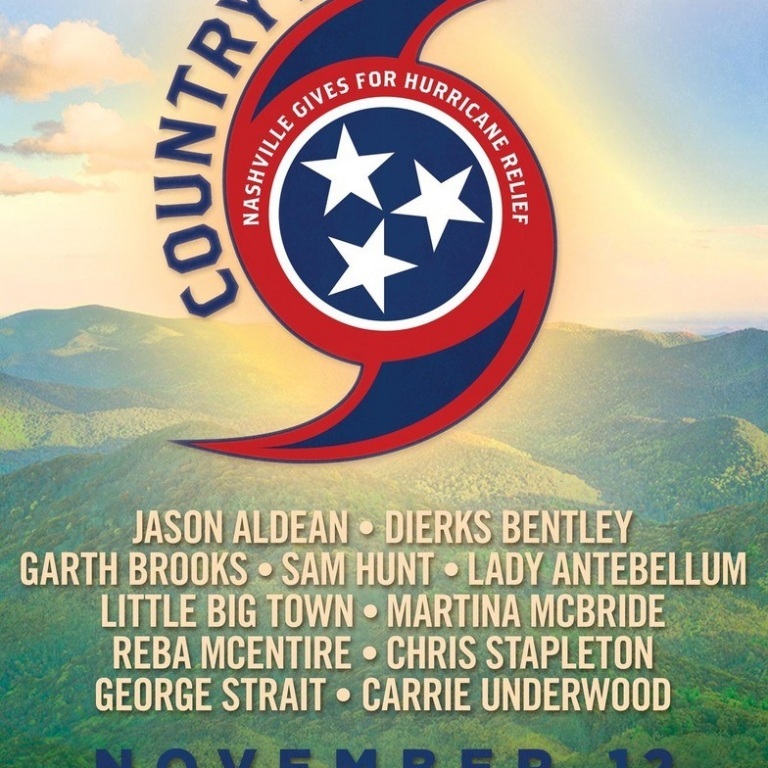 The star-studded lineup at Nashville’s Bridgestone Arena on Nov. 12 will include performances by Jason Aldean, Dierks Bentley, Garth Brooks, Sam Hunt, Lady Antebellum, Little Big Town, Martina McBride, Reba McEntire, Chris Stapleton, George Strait and Carrie Underwood. Tickets and VIP packages for the event go on sale next Friday, Oct. 6 at 10:00A CT on Ticketmaster.com. Additional artists and more details will be announced over the coming weeks at CountryRising.org.